Get close to nature during your tent, motorhome and caravan holidays by staying on campsites near some of the best forests and woodlands. Wander through a Welsh wilderness. Deep in the heart of the Snowdonia National Park, amid 170 acres of conifers and broadleaf trees, is a campsite in the woods run by the Forestry Commission. Beddgelert Campsiote offers plenty to do for weekends or longer camping and caravanning holidays in North Wales. It even has its own station on the narrow-gauge steam railway between Caernarfon and Porthmadog. Find out more about Beddgelert Campsite on Caravan Sitefinder. Have an action-packed family holiday in Devon on the moors. Think you need to leave most campsites for family adventures? Not at River Dart Country Park, in Dartmoor National Park, Devon. You’ll find all you need for family adventures, including a high-ropes course and adventure playgrounds. There are also 90 acres of lakes, parkland and woods to explore and all caravanners get free entry to River Dart Adventures. Find out more about River Dart Country Park, which won a place in Practical Caravan and Practical Motorhome's Top 100 Sites Awards in 2013, on Caravan Sitefinder. Go walking in the Lakes with Borrowdale’s beautiful byways. Surround yourself with forest trails at Borrowdale Caravan Club Site near Keswick, in the Lake District, including two from the park itself, which circle Derwentwater. Please note that there are no washrooms here and take care on the narrow country lanes.  Find out more about Borrowdale Caravan Club Site (formerly called Low Manesty) on Caravan Sitefinder. Get back to nature by camping at Lone Wolf Campsite, beside the River Dulais in South Wales. Small to medium-size caravans can pitch up on grassy areas, while this niche campsite's 20 acres of woodlands are reserved for tents and small camp fires. You'll need to park at the gate and carry your tent or tarp into the woods to pitch it. The site does have washrooms with free hot showers, and a kitchen. Numbers are strictly limited, to preserve the peace and tranquility of the setting, so it is essential to ring ahead and book. Find out more on Lone Wolf Campsite's own website. For another back-to-basics camping experience, head for the lovely five-pitch Trellyn Woodland Camping, which is surrounded by woods, but is also a short walk from the beach. Bushcraft courses are among the ways this Pembrokeshire CL in South Wales can help you learn about the woods. You’re even encouraged to have a camp fire, while everyone can use the campsite's wood-fired bread oven. Trellyn Woodland Camping also offers glamping, offering luxury Yurts, Tipis (wigwams) or Geodesic domes for hire, for those who want to set up a more glamorous family camp in the woods. Seclusion doesn't come cheaply, and a pitch for a motorhome or caravan with two adults inside will cost £240 per week (2014). It is restricted to members of the Camping & Caravanning Club. Find out more at Trellyn Woodland Camping's website. Learn about the woods — and the trees – during your caravan holidays near Norwich in Norfolk. Experience woodland life at The Dower House Touring Park, which is surrounded by Thetford Forest. Children can explore the woods to their hearts’ content, discovering wildlife and many species of plants and trees in the heathland and woodlands of pine and broadleaf trees. You’ll also find England’s only distillery just 4.5 miles away, where 'Not Yet Whisky' is sold and tours are offered. It has top-notch camping facilities and David Bellamy’s blessing as an eco-friendly campsite. Find out more on The Dower House Touring Park's website and on Caravan Sitefinder. We may never be Royal, but we can all explore the Queen's Sandringham Estate during camping holidays in Suffolk. While the Royals are away, enjoy the 600-acre country park while staying in your caravan or motorhome at one of two club sites. Pack a picnic and get walking. Sandringham's camping areas are made up of small glades, separated by pines and silver birch. Find out more about the Sandringham club sites on Caravan Sitefinder. Play games in the Scottish Highlands for a thrilling camping holiday. Visit the Cairngorms from the comfort of Dalraddy Holiday Park, part of the Alvie and Dalraddy estates. Its 97 acres of woods are home to native pine and birch trees. Quad biking, bushcraft, a zip wire, paintball, horse riding and clay pigeon shooting are offered. For quieter thrills, you can feed the deer. Find out more on Dalraddy Holiday Park's own website and on Caravan Sitefinder. The Wold is your oyster if you enjoy tranquil campsites in Lincolnshire. Oaklea, an adults-only five-van CL campsite near Woodhall Spa, set in the Lincolnshire Wolds, has a 16-acre arboretum, 10 acres of open grass and six acres of wild woods. It backs on to 300 acres of Forestry Commission land, so you won’t run out of good footpaths and forest trails if you like walking holidays in Lincolnshire. Find out more about Oaklea campsite through Caravan Sitefinder and Oaklea's own website. For things to do and great places to visit during your caravan holidays in Britain, browse through Practical Caravan's Travel Guides. We hope you'll have many wonderful woodland holidays with your family and friends!